Our Classic Shaped Cozy Sidecars are truly amazing. The body design has an unmatched aesthetic appeal and at the same time, in accordance with the principles of safety during the ride. Our Classic Shaped Cozy Sidecars can be easily connected to a variety of motorcycles. 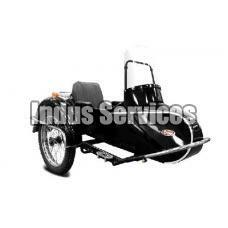 And this is not all; our price quotes make these sidecars even more special.